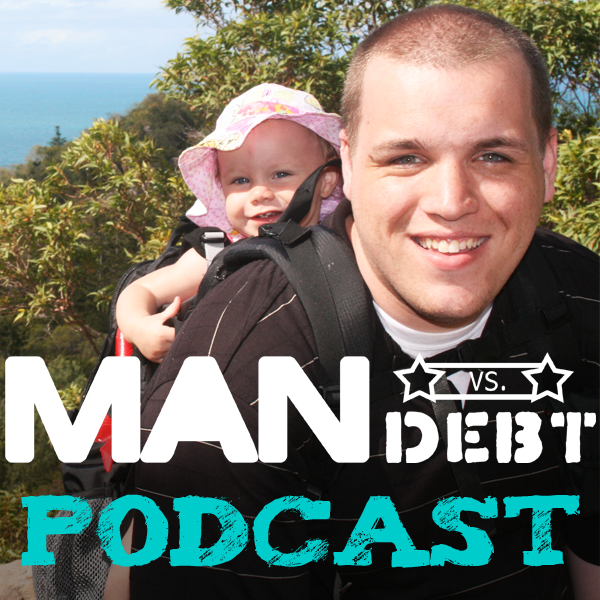 In Episode 5 of the Man Vs. Debt Podcast, I get back in the swing of this podcasting thing by talking about “Regrets of the Dying” and the lessons I learned while filming our documentary. I’ve been away from the podcasting mic for way too long! I’m back this week with a more transparent and shorter podcasting format (recorded at our temporary house out here in San Francisco). I knew my past (heavily structured) format was holding me back from getting back in front of the mic and sharing an update – so I took my own advice and just TOOK ACTION in the face of the problem. In this shorter podcast, I start by talking about an article I found this some time ago via Kelly Oxford, and its original source is from a nurse who worked with terminally ill patients. In this episode I talk about these five regrets – including “I wish I didn’t work so hard,” which really resonated for me right now! Next, I share the 3 core takeaways I learned while on the road filming “I’m Fine, Thanks,” our documentary project about the danger of complacency and living a scripted life. Complacency is an incredibly universal problem. We talked to dozens of people from all ages, races and backgrounds, and everyone had experienced it at some point in their lives. Most people experienced it multiple times. Complacency is challenging to quantify. It’s vague – there are these pop-culture phrases like “keeping up with the Jones” or whatever that dance around the idea, but there aren’t a lot of books and movies that really point to this specific issue. That’s kind of good for us – I mean, we have an opportunity to really tell this story and shine a light on this issue in a new way. Most people who combat complacency have a specific “AHA” moment. Not everyone, but many, many people we talked to – they had a moment, a very specific question or event, that led them to change their thinking and move away from complacency. One concept I absolutely believe in is the power of writing down what I call your V.N.S. That’s just a fancy way of saying your Very Next Step, the action you have to take next to move forward. I want you to, first, pick your one big idea – the thing that sits in the back of your mind that you truly wish you could bring into being. And second, I want you to write down your specific, actionable Very Next Step that moves you toward that goal. Just write it down. My very next step is: ________________________. That alone is hugely powerful, and I believe you’ll be surprised at how the action of writing it brings it about in your life. You’ll hear my thoughts and tips on how to make this brief exercise even more powerful at the end of the podcast. As I’ve been traveling, I’ve had the chance to listen to quite a few really great podcasts, and one thing I heard that I wanted to start in this episode was that the hosts sometimes took the time to thank the community members who had reviewed or rated the show in iTunes. I gave a shoutout to a few special reviews so far, but mostly, I’m just thrilled with ALL the feedback, because it’s really a large part of what motivated me to really commit to my own VNS – to sit down, record my thoughts on these topics, and get this podcast published. So thank you VERY much for that. And if you’ve listened and enjoyed any of the podcasts so far, would you consider leaving a quick, passionate review in iTunes? It feels great to be back on the podcast!